The hydraulic fracturing process poses multiple threats to water supplies. 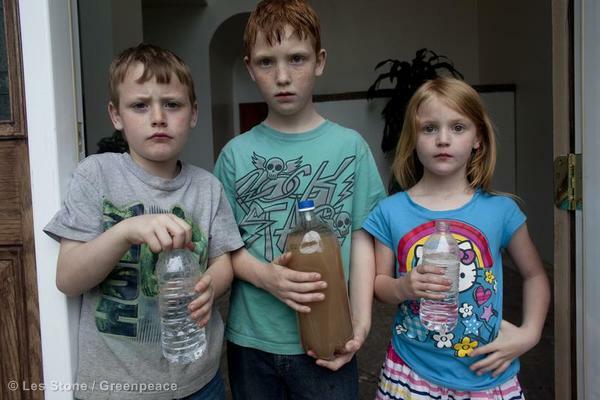 Jessica, Justin, and Joshua Ely hold bottles of water at their house in Dimock. The one at center, is contaminated water from their tap. In order to frack, an enormous amount of water is mixed with various toxic chemical compounds to create frack fluid. 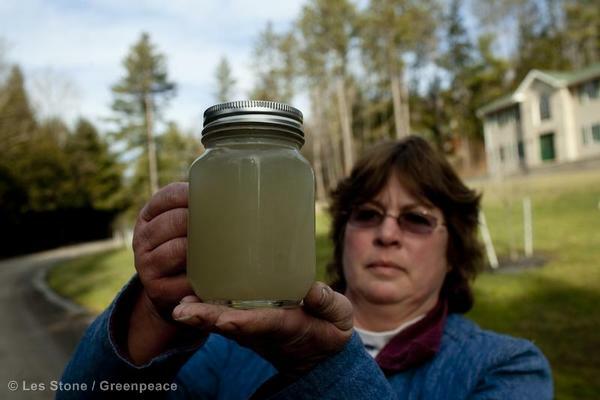 This frack fluid is further contaminated by the heavy metals and radioactive elements that exist naturally in the shale. A significant portion of the frack fluid returns to the surface, where it can spill or be dumped into rivers and streams. Underground water supplies can also be contaminated by fracking, through migration of gas and frack fluid underground. Because of the tremendous amount of water needed for hydraulic fracturing, fresh water must be acquired, transported, and stored for every well pad. To manage the massive amounts of water necessary for the hydraulic fracturing process, drillers build large open air pits called impoundments next to the well pads, to store the water before it is used and after it returns to the surface. There are two types of impoundments, those that hold drilling waste, used while drilling the well bore, and impoundments for the fracking fluid. The frack fluid pits are larger and contain toxic fracking fluid. These open pits have been linked to animal deaths and health effects in humans. In Texas, which has few laws regarding wastewater disposal, there is no requirement to line the pits to prevent seepage. During the hydraulic fracturing of a well, water is mixed with various chemicals to make a toxic brew called frack fluid. Until recently, neither the federal nor state governments required drilling companies to disclose the ingredients used in frack fluids. Some states have begun to require that companies disclose the chemicals they use, but even in such cases, companies can withhold some chemical names under trade secret exemptions. As a result, a comprehensive list of chemicals used in the fracking process does not exist. Some states have begun to require that companies disclose the chemicals they use, but even in such cases, confidential business information claims result in only partial disclosures. 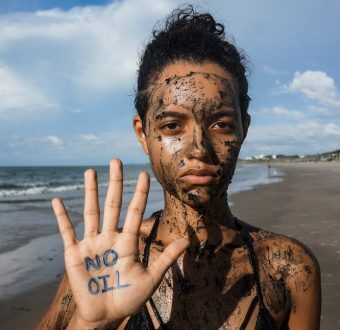 Corporations involved in fracking, like ExxonMobil, have inserted loopholes in drilling legislation that allow them to keep various chemicals used in the fracking process secret. Drilling wastewater is so poisonous, when a gas company that legally doused a patch of West Virginia forest with salty wastewater from a drilling operation, it killed ground vegetation within days and more than half the trees within two years. Wastewater from fracking has also been linked to livestock and family pet deaths across the country. Moreover, many chemicals used in fracking have been documented to have deleterious health effects at small levels of exposure. Some of the chemicals that comprise frack fluid are highly toxic and cancer causing, like Benzene, Toluene, 2-butoxyethanol (a main ingredient to anti-freeze and oil dispersants), and heavy metals.The Endocrine Disruptor Exchange (TEDX) identified 353 chemicals used in fracking, many of which can cause cancer and other serious health, even in small doses. Once the frack fluid mixture is injected into the ground it can also pick up or entrain further contaminants, like radium, a cancer-causing radioactive particle found deep within the Marcellus and other shales. Radium has a half life of over 1,000 years and is produced from Uranium, which has a much longer half life. Because Radium is water soluble, all frack fluid used in the Marcellus Shalebecomes radioactive to some degree. One of the gravest threats posed by fracking is the contamination of drinking water wells, vital sources of water for many rural communities. Though the industry has attempted to obscure evidence of well water contamination by fracking, multiple instances have come to light. A Duke study examining 60 sites in New York and Pennsylvania found “systematic evidence for methane contamination” in household drinking water. Water wells half a mile from drilling operations were contaminated by methane at 17 times the rate of those farther from gas developments. Although methane in water has not been studied closely as a health hazard, it can seep into houses and build up to explosive levels. In December 2011, US EPA released a 121-page draft report linking the contamination of drinking water wells near the town of Pavillion, Wyoming to nearby gas drilling. An investigation by ProPublica found that years after their wells were contaminated by nearby fracking operations, EPA began to supply water to residents of Dimock, Pennsylvania. In New York, claims have already been filed against the Anschutz Exploration Corporation and its subcontractors on behalf of nine families for the contamination of their drinking waterdue to natural gas exploration and drilling. A 1987 report concluded that hydraulic fracturing fluids or gel used by the Kaiser Exploration and Mining Company contaminated a well roughly 600 feet away on the property of James Parsons in Jackson County, W.Va. In spite of the evidence, the oil and gas industry routinely claims that fracking has never resulted in water contamination. Groundwater becomes contaminated by hydraulic fracturing in a number of ways, including leakage from liquid storage areas, leakage from injection wells, leakage during hydrofracking along faults or up abandoned wells, seepage into the ground when wastewater and residuals are applied to land (i.e. used for irrigation or on roads for dust suppression or de-icing), and other means. (US EPA, Science Advisory Board, Hydraulic Fracturing Review Panel, report to Lisa P. Jackson, August 4, 2011). It is common for wells to lose pressure during the fracking stage, which indicates that the frack fluid is not contained within the well and is seeping into some place the drillers did not anticipate. There has not been enough study of this phenomenon, even though drillers indicate it happens on a frequent basis. There is currently no comprehensive set of national standards for the disposal of fracking wastewater. The presence of certain contaminants commonly found in fracking wastewater — including bromide (which can create toxic by-products) and radionuclides, as well as Total Dissolved Solids (TDS) like salts (for which conventional wastewater treatment is largely ineffective) — are of major concern not only because of the potential impacts on rivers, streams and groundwater, but also for downstream water treatment plants, where conventional treatment technologies are not equipped to deal with such contaminants. According to US EPA, “only a limited number of Publicly Owned Treatment Plants (POTWs) have the ancillary treatment technologies needed to remove the constituents in hydraulic fracturing return waters.” (US EPA, Science Advisory Board, Hydraulic Fracturing Review Panel, report to Lisa P. Jackson, August 4, 2011). 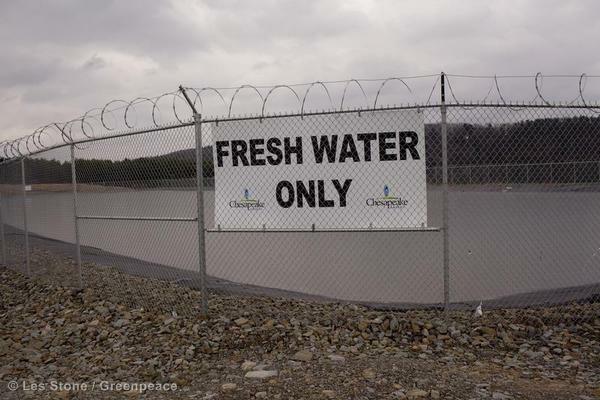 Because of lax regulation, fracking companies commonly dispose of contaminated fracking water in the cheapest, easiest ways they can find, regardless of the consequences for communities, water treatment facilities, and the environment. This has led to abuses of waterways and communities close to frack sites. The solid waste left over from evaporation pits and land application is treated as ordinary solid waste and exempt from many federal and state regulations, though it can contain toxic residue from the frack fluid. (Ian Urbina, “Recycling of fracking wastewater is no cure-all,” New York Times, 2/2/2011) Drillers are permitted to apply fracking wastewater residues to roads for de-icing and dust suppression in states like Pennsylvania and New York, and allowed to spray it into the air over tracks of land used for agriculture in Texas. In 2015, a Greenpeace investigation found that the shale industry had undue influence on EPA’s study of fracking’s impact on groundwater. 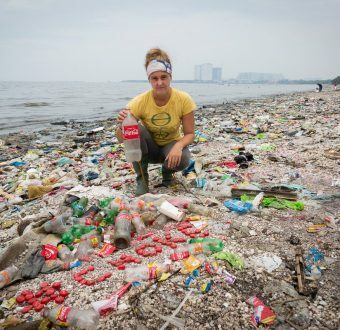 Read more from Inside Climate and Desmog Blog.